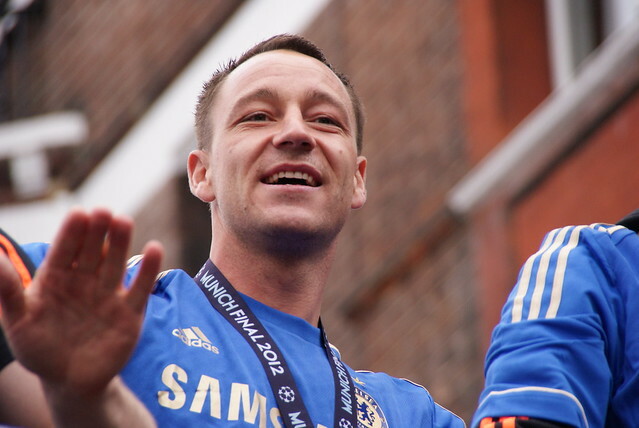 Former Chelsea captain, John Terry could be set for his first taste of club management with reports suggesting the 37-year-old is being lined up for an assistant manager role at Championship promotion hopefuls, Aston Villa. Terry, who played last season for Villa under Steve Bruce, has opted not to play for another club so far in 2018/19 and is being primed to work alongside Jose Mourinho’s former assistant, Rui Faria as the Portuguese coach’s number-two. For some time, Terry has voiced his desire to enter football management. Whether the former England international would be comfortable stepping into the shoes of the departed Villa boss, Steve Bruce, who signed him for the Villains last term, remains to be seen. However, Villa’s new Egyptian majority shareholder, Nassef Sawiris has been seeking advice on Steve Bruce’s replacement from so-called ‘super-agent’, Jorge Mendes. Mendes is a close friend of Rui Faria, who left his assistant role under Jose Mourinho in the summer to try and forge his own managerial career. At first glance, a management team of Rui Faria and John Terry might seem somewhat bizarre. But it makes perfect sense when you realise that Terry twice worked under Faria during Jose Mourinho’s two managerial reigns at Stamford Bridge. It is understood that the pair have remained in contact ever since and Terry is seen as the bridge between the management staff and the supporters to get the fans back on-side following a dismal start to the Championship campaign. Steve Bruce lost his job after a run of just one league win in ten matches. However, Villa remain only four points off the playoff pack at present and it was felt that now was the right time for change to give a new management team the chance to reignite Villa’s campaign. They are still rated as strong 5/1 contenders for promotion in the Championship football betting and rightly so when you consider the probable spending power the club will have in the January transfer window. If Rui Faria is not deemed to have enough Championship experience to lead a promotion assault, insiders in the Birmingham press have indicated current Brentford boss Dean Smith is another prime candidate. Smith, born and bred in the West Midlands, the 47-year-old made 566 league appearances as a central defender before managing League One Walsall and Championship side Brentford with distinction. Smith has got Brentford playing a supremely stylish brand of football. If he can replicate that at Villa Park, the Villa faithful will certainly have more confidence and belief that they are building a side capable of getting back to the Premier League and staying there. One thing is for certain, the upper echelons of the Villa Park setup need to act fast during the international break. Villa’s coaching team is entirely bare following the mass exodus that followed Steve Bruce’s departure. It would certainly be difficult for Smith to turn down an approach from Villa given the club’s stature. His three-year spell at Griffin Park has established Brentford as a force in the second tier, but the West London outfit lack the infrastructure and support of Villa, who could be a Premier League club in waiting with the right direction at the helm once again.